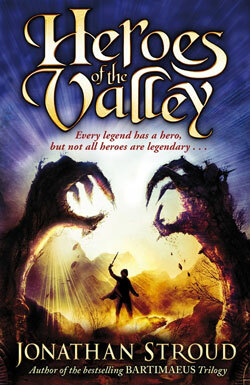 Long ago, Halli Sveinsson’s ancestors fought monsters in the valley and drove them up into the hills. Halli wants to be a hero too, but when he rebels against his peaceful, boring life, he unleashes a series of terrible events. With the help of a girl called Aud, who is just as brave and curious as he is, Halli begins to piece together the secrets of the valley – but what they uncover threatens to destroy them . . .
UK edition available in hardback, paperback, audio and ebook. Leevi Lemmetty's brilliantly stylised take on the beginning of the novel. 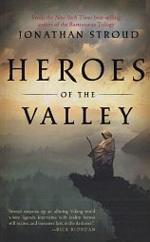 "Stroud conjures up an alluring Viking world where legends intertwine with reality, heroes still matter, and monsters lurk in the darkness"
"Jonathan Stroud's new book is, quite simply, stunning"
"As always, Stroud writes like a dream… Those who eagerly awaited this next novel after his superb Bartimaeus trilogy will not be disappointed." "[a] compelling novel… Fans of his Bartimaeus Trilogy will, like the hungry Trows of valley legend, devour this book whole." "Funny, exciting, thoughtful, and, most of all, timeless…"